In the wake of Christchurch, demands for stricter regulation of social media took a serious turn on Wednesday, with the threat of jail for execs who don’t effectively police their platforms and even Microsoft President Brad Smith speaking out. ”Is there some base level of standards of decency or civilization we are going to ask these networks or platforms to be bound to?” he asked, after discussing events with New Zealand Prime Minister Jacinda Ardern earlier in the week. Well, is there? Facebook and its peers have admitted they can’t police or control what is ‘published’ on their platforms. And Monday’s news that Facebook is still allowing Neo-Nazi hatred to be ‘published’ even after Christchurch made matters worse. One could be forgiven for thinking it was these latest revelations that finally prompted a major change of Facebook policy on Wednesday. A Facebook spokesperson had told me earlier this week that “we want Facebook to be a safe place and we will continue to invest in keeping harm, terrorism, and hate speech off the platform.” And following days of criticism, the company has now announced that white nationalist postings will be prohibited across its platforms, crediting three months of discussions with race relations experts rather than more recent events. Despite Facebook’s latest concession, content is one thing but live video is quite another. 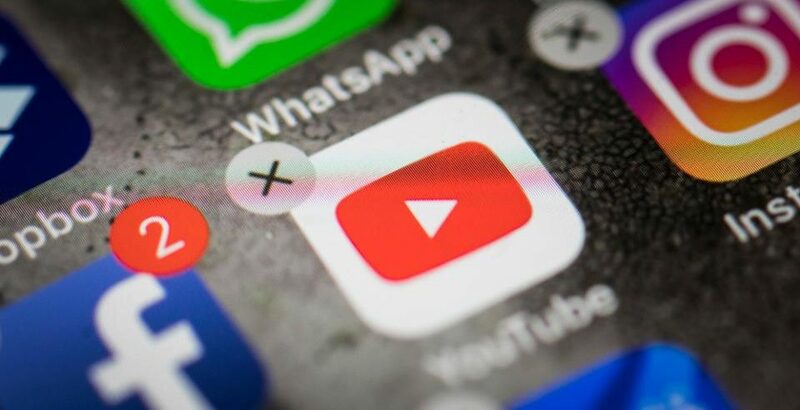 It was the live streaming of the Christchurch attack that prompted the greatest criticism of Facebook and YouTube, and the challenge is that the platforms can’t control the sheer scale and immediacy of this kind of content. A repeat of Christchurch would yield the same inability to control events. Nothing in that regard has changed. Facebook’s admission that the company could not control Facebook Live has not yet been addressed, and the future of live streaming on the platform must still be in doubt. And then came that news that Australia is considering criminal charges leading to potential jail time for social media execs who fail to control what is streamed on their platforms. Prime Minister Morrison met with the leading social media firms on Tuesday, including Facebook, Twitter and Google, to ask for comfort as to how they would prevent their platforms and services being ‘weaponized’ by terrorists. Australia’s Attorney-General Christian Porter described Tuesday’s meeting as “thoroughly underwhelming”, and said that the government was “absolutely considering” jailing executives as a sanction and that Australia’s “extra-territorial reach” disregarded where any of those companies might be based. With Facebook’s ban on far-right postings, live streaming will now become the battleground. With the hypothesis that it’s damaging to the public interest to provide a broadcast platform for extremists, for murderers, for the vulnerable, for the suicidal, and where that platform can’t be controlled, there is no public interest case for leaving as is. All roads still lead to regulation, but the pace is accelerating. To emphasize the point, there is the timing of Facebook’s blog post on the same day as Australian political pressure revved up, signaling a major – albeit long overdue – company policy shift with the “ban on praise, support and representation of white nationalism and separatism on Facebook and Instagram,” a change of stance for the company, which had differentiated between white supremacist and white nationalist content. From next week, “people searching for these terms will be directed to Life After Hate, an organization, founded by former violent extremists, that provides crisis intervention, education, support groups and outreach”. previous What Do Israeli and US Politics Have in Common? National Identity Crises. next Will Russia Try To Occupy Belarus?